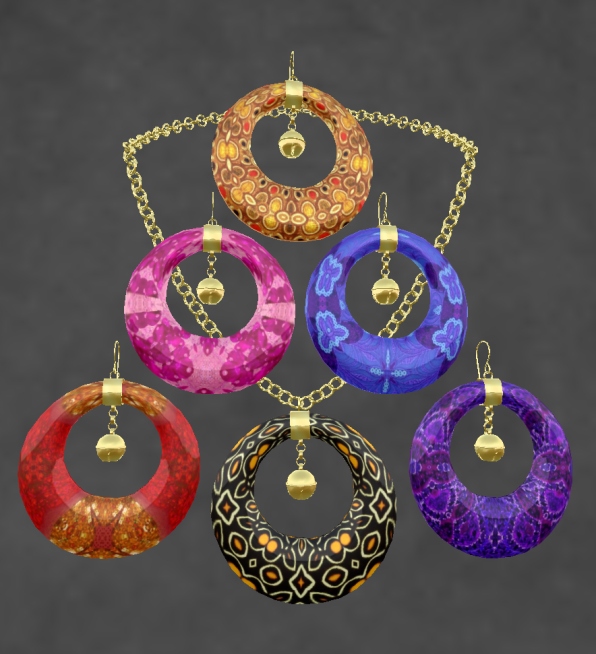 This week at ELEMENTAL JEWELRY, there are 2 new versions of the Exotic Elegance Necklace & Earrings--creatively named Exotic Elegance 2 and Exotic Elegance 3. Exotic 2 is pictured above--gold necklace & earrings with texture changing offset hoops in 6 texture choices. 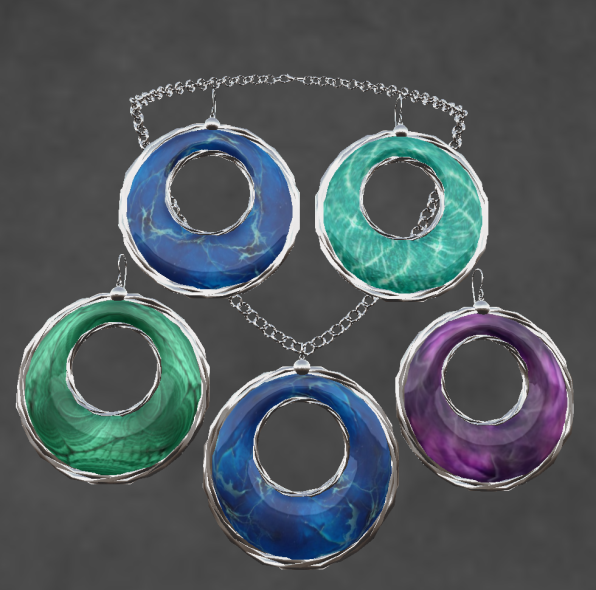 Exotic Elegance 3 is a silver set with texture changing hoops in 4 stone textures--blue jasper, amazonite, amethyst, and malachite. Both sets are featured in the LOW Sale this week for only L$60--that's 60% off of the regular price of L$150. Also starting this weekend is the Mango Mango Tropical Hunt, a sim wide hunt located at Ruby Oasis, next door to Snowpaw's. The hunt will run from July 15 to August 15. There is a new ELEMENTAL JEWELRY shop located at Ruby Oasis. 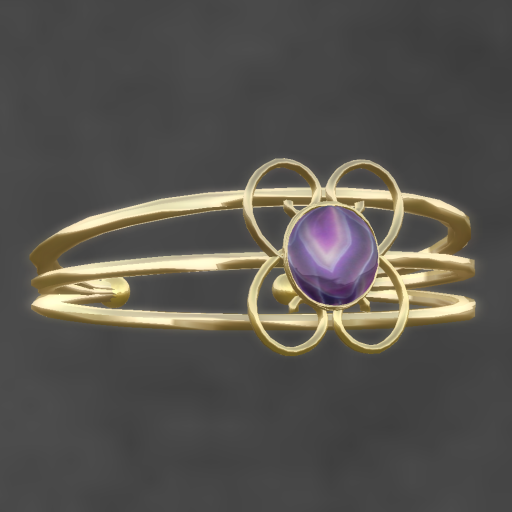 Here's a photo of the ELEMENTAL hunt gift--the Mango Mango Bracelet in gold and purple agate--and a slurl to the shop.